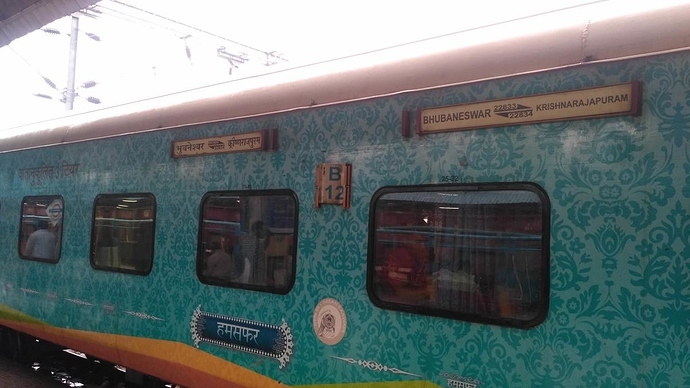 Does train-22833 Bhubaneswar Krishnarajapuram HumSafar Express has seat curtains for each birth in 3rd AC? Hi can you please tell me Train No:22833 Bhubaneswar Krishnarajapuram HumSafar Express has seat curtains for each birth in 3rd AC ? @SK14 No, curtains were removed from all third AC coaches by the railways way back. So I don’t think Third AC coach of this humsafar train has curtain.